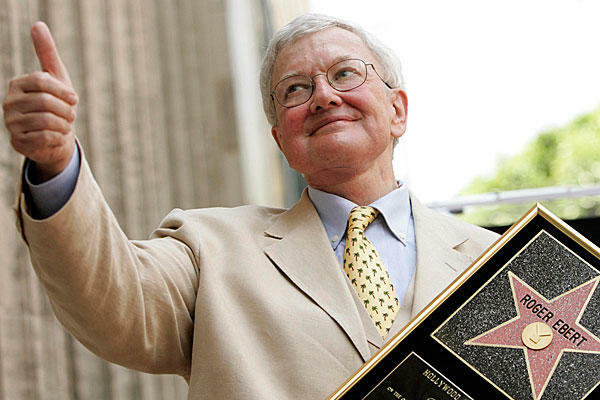 Today, WICWA remembers film critic Roger Ebert. Roger Ebert passed away on April 4, 2013 and to me and numerous other movie lovers, he was very influential and relevant. I never watched a movie without seeing what he thought of it first. His Iconic “Two Thumbs Up” for a movie could make or break its prospects with viewers. I’ve always considered myself a movie enthusiast, my dad made sure of that. Fact is my movie education was never complete until running into Roger Ebert. This was about three years ago when my movie viewing habits started maturing; what I call my “Scorsese” phase. I had seen Scorsese’s more recent works (the departed & shutter island) and in my efforts to find more of his directing credits online and further seeing what they were about, as they stretched back to the 70s, Ebert’s review of Goodfellas caught my eye where he says “No finer film has ever been made about organized crime – not even The Godfather.” Of course that was a big statement seeing as the Godfather is one the greatest films of the crime genre and even I knew that then but somehow that played on my mind and as time went on (this being in a matter of months) I sought for his opinion on every movie I watched not because I necessarily thought he was the best film critic but also because he took a very prudent approach to reviewing films. “When you ask a friend if Hellboy is any good, you’re not asking if it’s any good compared to Mystic River, you’re asking if it’s any good compared to The Punisher. And my answer would be, on a scale of one to four, if Superman is four, then Hellboy is three and The Punisher is two. In the same way, if American Beauty gets four stars, then The United States of Leland clocks in at about two”. His approach to reviewing movies always seemed reasonable to me because it’s always difficult to compare movies of varying contexts and genres say like the example he uses above in Hellboy and Mystic River which are completely different kinds of movies geared towards different effects. If there is one thing I learned from him, it’s that we are all entitled to our opinions, however biased or dissenting they may be. He didn’t think too highly of movies like Full metal Jacket which I consider a classic or even Die Hard (and I half agree with him there) despite their near unanimous recognition and there are numerous “questionable” movies that he has given good reviews to but his opinion was his opinion. Ebert’s battle with thyroid cancer led to some number of operations and as a result, him losing his Jaw and subsequently his ability to speak in 2006 after complications during surgery. The loss of his voice did not slow him down and his blogging and internet reviews brought him closer especially for those of us who did not have the luxury of watching him during his time on television. The internet continued to give him a voice that was heard by fans across the globe, more than his tv shows did. His further adoption of twitter allowed him to broadcast his thoughts and have further conversations with other critics and fans alike. His ease with the Internet age was more than impressive for a man who appeared to be an old school print journo. With him gone I would have to find a new ace movie critic. I followed him and Simon & Mayo of the BBC but there was some balance there as Simon & Mayo sometimes are a tad too critical and appear too eager to give movies bad reviews and this was in stark contrast to Ebert’s warm and receiving nature towards movies. He has handpicked some critics to work on his site so it is still running but the fact is, there may never be another critic like Ebert. One who was so open hearted and actually understanding of movies and willing to give them a chance. Two thumbs up to you Mr. Ebert, Two Thumbs up.